"About 5:47 pm the Tallahassee Police Department responded...in reference to a shooting," police chief Michael DeLeo said at a press conference. "Upon arriving on the scene, the officers found multiple victims suffering from gunshot wounds." First responders transported five people to a nearby hospital, with two later succumbing to their wounds, DeLeo said. "There are indications that several people inside fought back and tried to not only save themselves but other people, which is a testament to their courage," DeLeo said. 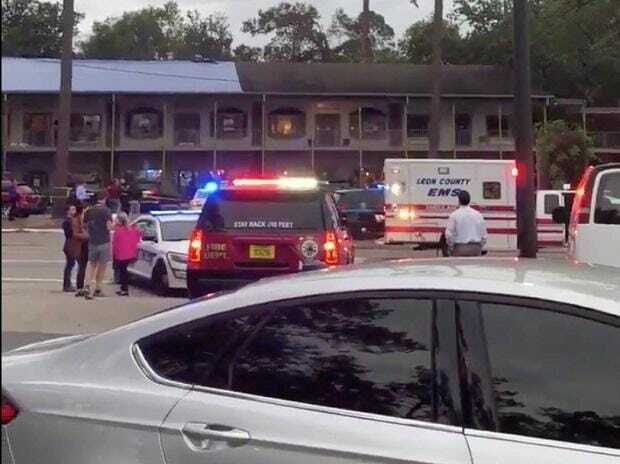 Tallahassee Mayor Andrew Gillum, who is currently running for governor of Florida and cut short a campaign event to return to the city, tweeted: "I'm deeply appreciative of law enforcement's quick response to the shooting at the yoga facility in Tallahassee today." "No act of gun violence is acceptable. I'm in close communication with law enforcement officials and will be returning to Tallahassee tonight.